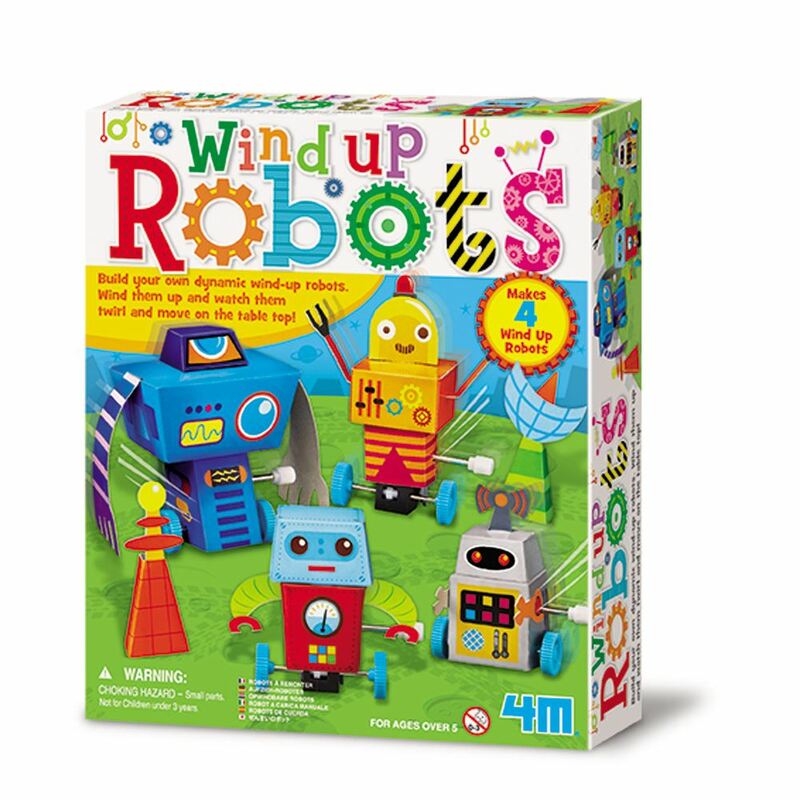 Build your own dynamic robots with 4M. Wind them up and watch them twirl and move on the table top! Robot size: 60 x 90mm tall. Includes: cardboard robot templates, 4 wind-up gears with wheels, 4 plastic holders, double-sided foam tape and detailed instructions. Age 8+ years. Distributed in New Zealand by Holdson.